Raising our vibrations is not an external process but an internal unraveling of conditioned beliefs and crystallised emotions – a liberation from that which does not serve nor belong to us. We are bringing our awareness and physical vehicle into alignment with our deepest soul desires and evolution. Using the tool of Evolutionary Astrology, we are able to pinpoint with great precision the specific dynamics that an individual soul is processing in this lifetime. We can see how the soul has chosen to evolve, what emotional dynamics it is working through and from what perspective they will experience situations, life and the world. By adding and integrating the tool of Human design, we are able to add another layer of depth clarity into the specifics of what the individual is learning and how one can be distracted from living with flow and ease. We can offer practical tools on how to make empowered decisions that are in alignment with ones authentic path and direction. Whether you are at a crossroads in life or feeling lost, we can support you in aligning with a direction which is supportive to your purpose and empower you with practical tools on how to make decisions you can trust. We won’t give you the answers but rather support and empower you to make decisions for yourself. Resolution comes from understanding. Using the tools of Evolutionary Astrology allows us to see, with great precision, the dynamics that any given soul is processing in their life as well as which challenges it may face and how to overcome them. Sometimes we feel emotionally or physically stuck. When in these situations it can be supportive to gain an objective insight into the dynamics at play. We can support you by helping you identify the block, where it comes from and process how to work through it. Relationships can be a challenging yet deeply rewarding aspect of life. We can help you understand the deepest aspects of your relationships. What you are teaching each other, the difficulties you might face and how to overcome them. This can be supportive to relationships at any stage and of any nature, whether intimate, familial or friendship. Knowing yourself through learning your natal chart is deeply validating, healing and empowering. This service is a revolutionary way to learn all about yourself through your natal chart in depth and detail with personal guidance but in your own time. Learning the language of the stars is a life altering experience. By seeing the world, yourself and others through the archetypal language of EA your perception can be opened up to a whole new layer of depth and wisdom. 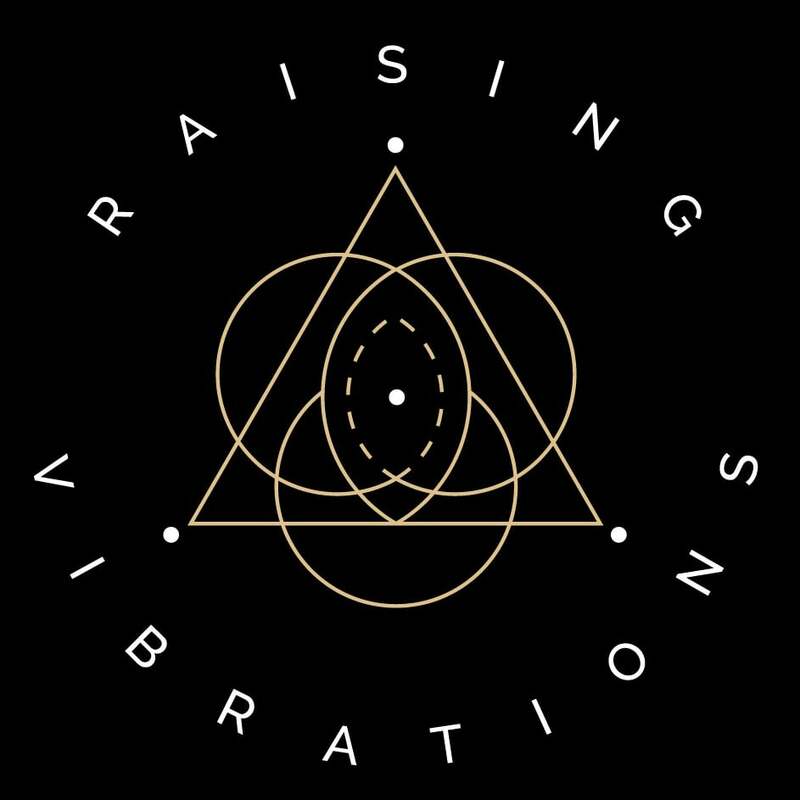 My work with Raising Vibrations introduced me to a new language through which I could begin to articulate my experiences. I found the courses greatly empowering, grounded, informed and deeply resonant. The Evolutionary Astrology courses broadened my perspective on life and gave me a safe home base to relate back to throughout the trials, tribulations and adversity I face in my daily life. My life and soul has been re-tweaked to it's appropriate dial and I feel so incredibly grateful for this irreplaceable experience. I feel so grateful to have found Simon and Jen's work at a time when I greatly needed the objectivity and guidance that astrology provides. My work with Raising Vibrations began with a personal reading that I treated myself to for my birthday; which introduced me to a new language through which I could begin to articulate my experiences. This led me to attend the EA Beginner's class, then the Advanced class, then finally the Metamorphosis program. I found each of these experiences greatly empowering, grounded, informed and deeply resonant. Beyond providing a new lens through which I am able to make meaning of my experiences, it also offered me the opportunity to connect with a larger community of seekers whose stories and support have been a wonderful mirror for my own journey. I wholeheartedly recommend working with Simon and Jen and joining the community! As a newbie professional Astrologer I have taken many classes with various teachers and I must say I've found Simon's transit class to be among the best, most useful and accurate in it's material. It has been almost a year since taking this course and I still refer back to its content often. You will learn far beyond the generic cook book interpretations. I would recommend this course to not only seasoned astrologers but also to the student who is unfamiliar with transits. Simon jam packs his classes with easy to understand and profound information. This course has undoubtedly helped to round out my predictive work quite nicely as an Astrologer. I am grateful to have found Raising Vibrations and to have had the opportunity to learn from Simon's videos and his beginners astrology class. He is a delight to listen to, and to learn from; I became immediately fond of his teaching style: his knowledge of EA, his passion, deep sensitivity and ability to be vulnerable in the moment; all are qualities I truly admire in him. Well over two years ago I had the great fortune to meet Simon and Jennifer, through their consistently inspiring "Wake Up World” articles on various topics of Astrology. After reading several heart resonating articles, I decided to get in touch with Simon for a personal astrological reading. His clear, helpful, very kind, often moving, and astutely precise reading, rekindled my thirst to learn more about astrology. A few months later I had the exciting opportunity to sign up for Simon’s beginners Astrology course. I learned, I enjoyed, I loved this class so much, I signed up for the intermediate, then onto the advanced, and onwards into many other fascinating facets of the Evolutionary Astrological realm. I can only praise and thank Simon and Jennifer for all the kind and consistent care they have given me. More than that, I want to thank them for the commitment they are giving to our world community, in helping to bring increasing consciousness, conscientiousness, awakening and a beginning sense of Unity, to our wounded world, and our wounded souls. Thank you Jennifer and Simon! You are a gift to us all!! When working with us we will meet you as an individual, the discussion will be tailored to your specific needs and desires be it an astrological reading, Human Design overview, life direction, relationship reading, transits, solar return or other. The focus can be narrow or broad and on the past, present or future. We aim to deliver great depth and wisdom in a digestible and practical way. We will not predict your future but we will be able to tell you what your future focus will be, what you will be learning along the way and how to best approach these dynamics for ease and flow. We will not tell you what to do but empower you with the understanding tools to make decisions which are in alignment with your greatest good. To give us insight into your inner reality and life direction we use your Astrological chart, Human Design chart and intuition and offer you a holistic perspective of mind body and soul. The sessions are packed with information which often takes time to digest and for the insights to arise so for that reason all sessions are recorded and sent to you for your review. You can share information and specify your intention upon booking. If our prices are out of your financial reach please contact us for information about our income adapted pricing. This is a great place to start if you are new to our work or need some guidance on a specific matter. The discussion will be tailored to your specific needs and desires. You can hare information and specify your intention after booking. If you are seeking guidance or understanding on multiple areas of your life and chart or would like to go deeply into any specific area this is a perfect option for you. The sessions will be tailored to your specific needs and desires. You can share information and specify your intention after booking. 12 sessions is enough to process your life and chart in great depth and detail. It is perfect if you would like to explore your family and relationships or for ongoing guidance as you move through changes in your life. HOW ARE THE PLANETARY CYCLES INFLUENCING US?